Without cooperation on oil, China’s transition to a sustainable energy future is hardly guaranteed. The joint announcement of new climate pledges from the United States and China injects momentum and brings new hope to the climate negotiations that are to take place in Lima and Paris over the next thirteen months. Alongside continuous efforts to cut consumption of coal, attention was also focused on the enormous development of renewable energy promised for the next fifteen years by the Chinese government. However, there remains an area where cooperation is in more urgent need, and without which China’s transition to a sustainable energy future is far from guaranteed. The missing jigsaw piece of China’s ambitious energy transition is oil, a crucial energy source with complex economic, environmental and security calculations in both countries’ policymaking processes. To begin with, it remains unclear what China’s pledge implies for petroleum and the broader transport sector. China’s intention to have carbon dioxide (CO2) emissions “peak” around the year 2030 is mostly an enhanced continuation of previously announced domestic policies to reduce the reliance on dirty coal, and China has already laid out plans for new nuclear and renewable power generation that will go a long way – though not all of the way – towards meeting its goal of having non-fossil energy account for 20% of primary energy consumption by 2030. The greatest uncertainty thus exists in what limits China will place on its rapidly growing transport sector emissions, and how the pace and carbon intensity of its oil consumption will evolve. Complicating this is the difficult outlook for oil alternatives in the transport sector. Many first-generation biofuels compete with food crops and face a number of challenges to achieving the scale necessary to displace oil. China has made significant efforts to promote electric vehicles since the 1990s, but our previous analyses indicate that its policies have thus far seen only limited success in the private market, and the combination of high costs and a coal-intensive electricity grid do not make them a probable major contributor to China’s 2030 goal. Access to oil resources and oil transit chokepoints are often perceived as sources of geopolitical leverage. 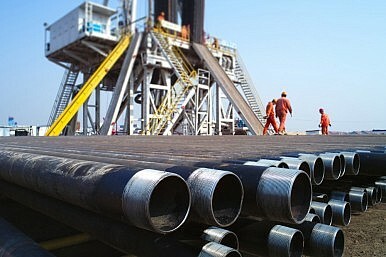 China, much to U.S. chagrin, has for many years pursued a “going out” strategy aimed at securing petroleum resources via physical ownership or bilateral supply agreements. Some of this effort has entangled China in a number of politically or environmentally controversial regions, from Venezuela to the Canadian oil sands. The U.S. meanwhile, has its own history of politicizing oil, evidenced not only in a longstanding ban on the export of crude oil but also in deep divisions over the prospective Keystone XL pipeline. Even the U.S. attitude towards oil prices is diverging from China’s as the trajectory of each country’s net imports heads in very different directions. With different segments of the U.S. economy interested in either low or high oil prices, it is very difficult to divine the future direction of U.S. policy. What can be done to align American and Chinese oil policy more coherently towards their common climate goal, or to ascertain whether such alignment is mutually desirable in the first place? To answer this question, revisiting the last great energy paradigm shift is instructive. In December 1973, only months after the start of the Arab oil embargo, Henry Kissinger delivered a speech in which he called for “a massive effort to provide producers an incentive to increase their supply, to encourage consumers to use existing supplies more rationally and to develop alternative energy sources.” Less than a year later, these imperatives were institutionalized in the International Energy Agency (IEA), a body founded to coordinate developed country efforts at securing reliable, affordable and clean energy. This would have meant little to China at the time: it was a negligible oil consumer, and new discoveries in Shengli and Dagang contributed to the country’s first oil exports to Japan in that year. Only in 1993 did China become a net oil importer, and in the subsequent two decades it rode a wave of economic reform and globalization to become the world’s largest net oil importer by 2013. China now accounts for more than one-third of all global oil demand growth. This leads to a number of opportunities for institutionalizing learning and cooperation between the United States and China. China’s deeper engagement with, or even membership in, the IEA would lead to more cooperation on issues such as data transparency and strategic petroleum stocks, a critical but not sufficient condition for effective policy formulation. Next, an institutionalized dialogue should be established that assembles policymakers in both countries, along with key leaders from China’s national oil companies and Western oil majors. This could be on the sidelines of the U.S.-China Strategic and Economic Dialogue or separate from it, but the critical element is to provide a closed-door setting for building trust and discussing the integration of climate risk into each actor’s existing economic and political risk calculus. Discussions might also include the alignment of carbon pricing in the transport sector, principles of conduct for engaging with high-risk resources such as those in the Arctic and oil sands, or R&D collaboration on breakthrough alternative fuels. What is clear is that more structured engagement between China and the United States on oil issues is needed to reveal the most realistic areas for durable progress toward meeting shared climate goals. David Livingston is an associate in the Energy and Climate Program at the Carnegie Endowment for International Peace. Wang Tao is a resident scholar at the Carnegie–Tsinghua Center for Global Policy.